I'm a huge fan of Aloe Vera and its many benefits to the skin – soothing, calming, reparative, gentle, and safe enough for sensitive skin – it's really perfect for an eye cream. The main reason I have never used aloe vera as the main ingredient in any cream before is actually a bit silly. To be quite honest, I'm just not the biggest fan of the scent. It's not bad, but it's not great either. In my book, any cream for facial use – right there near the nose – requires an appealing, luxurious scent (along with all the rest of the goodies a good cream should have). 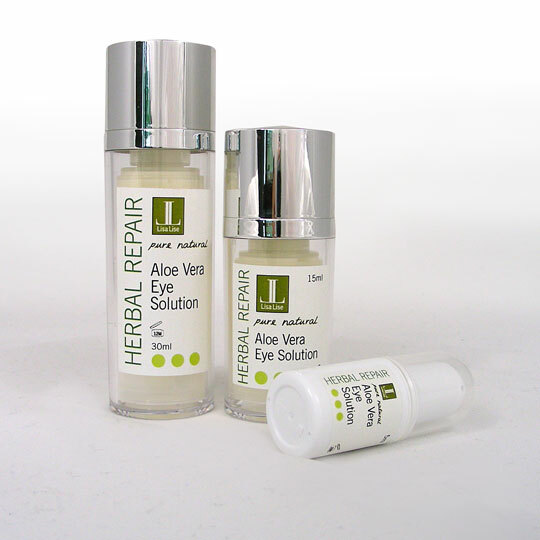 Feeling experimental, I decided to see if it was possible to create an eye cream where all of the liquid base is pure organic aloe vera, without 'that aloe vera scent'. In a formula like this one, the Aloe Vera content is over 60%. The formula is based on my existing eye creams/solutions with all the anti-wrinkle and smoothing actives added for optimal eye-toning. Guess what. Aloe Vera loves being the star ingredient in eye cream – so much so that it has decided to step back in the scent department and just be, well, neutral. Yay! This product is being tested with 'my regulars' at the moment, but if it gets positive reviews, I will add it to the product line. PS: I wonder if I'm the only one with this opinion of the scent of Aloe Vera. How do you feel about it? Love it? Hate it? Never noticed any particular scent? Do tell!